1. How do I learn to manage this cool, new and free open source blogging platform called WordPress. 2. What to name the blog. Through pointing and clicking, trial and error, I mastered #1. (After all, I had time on my hands at the time.) But I struggled with #2. I didn’t want to use my real name, even though there’s total transparency regarding the author here. My goal was to chronicle my strategic efforts to land another full-time position in my profession — public relations. Blogs should be your vehicle to communicate your passions; so I needed a name that incorporated public relations, but wanted something contemporary and casual. “PRGuy” was my first choice. It was taken on WordPress. PRDude was not taken. So without hesitation I registered myself as The PRDude. 1. There’s a guy (at least I’m making an educated assumption) with the Twitter handle of PRdude. He bills himself on Twitter as, “PR pro not a miracle worker.” He’s apparently from Manhattan and he maintains a blog. 2. Within the WordPress family, a gentleman from the U.K., Hao Nguyen, blogs at That PR Dude. According to his blog he’s “23-year old Account Coordinator” with an agency. Does some pretty cool stuff, like interviews with industry professionals and a “day-in-the-life” profiles. 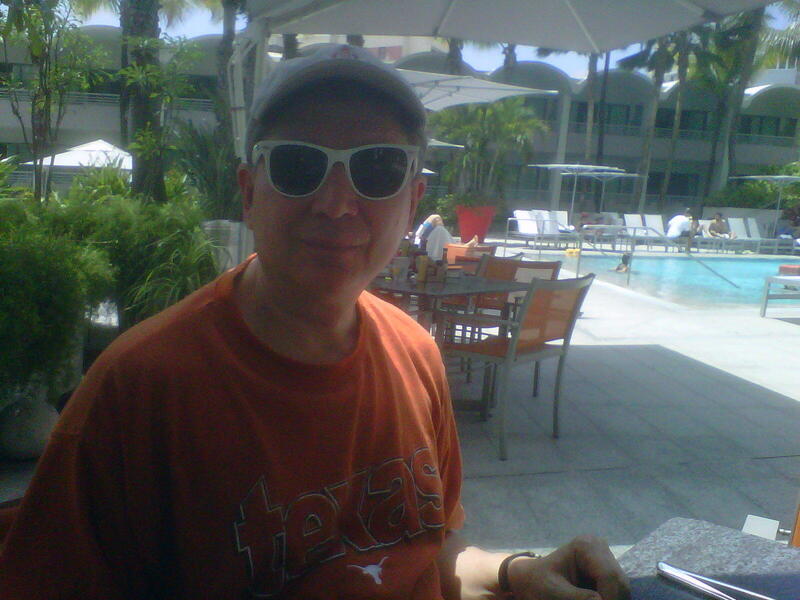 Edward M. Bury, APR, aka The PRDude, circa March 2012, San Juan, PR. No need for me, The PRDude, to offer any further comments on the guys noted above, or any commentary, for that matter. It’s interesting to view others who blog or comment on public relations, a profession and practice I’ve addressed here in 122 posts written over the past 32 months. What’s in a name, like The PRDude? You tell me. Did I make the right choice? And, while you’re at it, visit the guys above. We share a few things in common.